Ukraine plans to create an enhanced aerial reconnaissance system to boost security measures at military facilities at risk of attack, according to the press service of the Ministry of Defense of Ukraine. The creation and operation of such a system is to be discussed during the meeting between the Air Force Command of the Armed Forces of Ukraine (AFU) and the representative of the Estonian defense ministry, Major-General (Ret.) Valeri Saar, who is an adviser for the defense ministry on modernization of air force's ground infrastructure. The parties plan to discuss the establishment of an enhanced aerial reconnaissance system near military facilities that could potentially become targets of subversive activity. The options for training the air force personnel at Estonia's Amari air base will also be discussed. During a Thursday briefing, the Air Force command officials briefed their foreign adviser on the efforts made by the Air Force on the modernization of their airfield network, in particular, navigation and radio equipment at airfields in line with NATO standards. The parties also discussed participation of representatives of the Ukrainian Air Force in the work of the NATO Air Defense Committee. 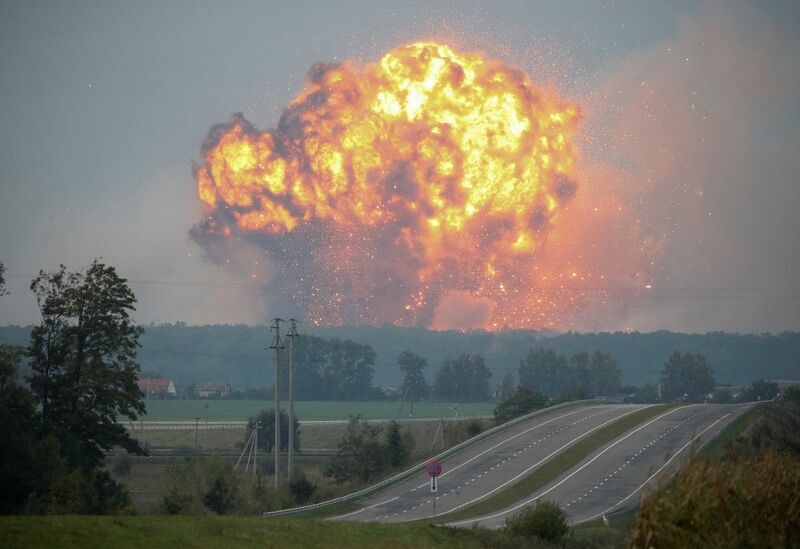 As UNIAN reported earlier, according to preliminary estimates, some 32,000 tonnes of artillery shells worth $800 million have been destroyed in chain explosions and fire at Ukraine’s major munitions depot deep in the country’s rear, outside the village of Kalynivka in Vinnytsia region. The investigation into the incident is underway as security forces claim the base was attacked in a subversive act. Massive explosions at another munition depot in Balakleya are believed to have been caused by a drone bomb.